Did you know, at least 8 out of 10 guests at a wedding have no idea what’s going on? They often say “we knew we had to be there for the ceremony at 2 pm but didn’t really know anything else for the whole day”. 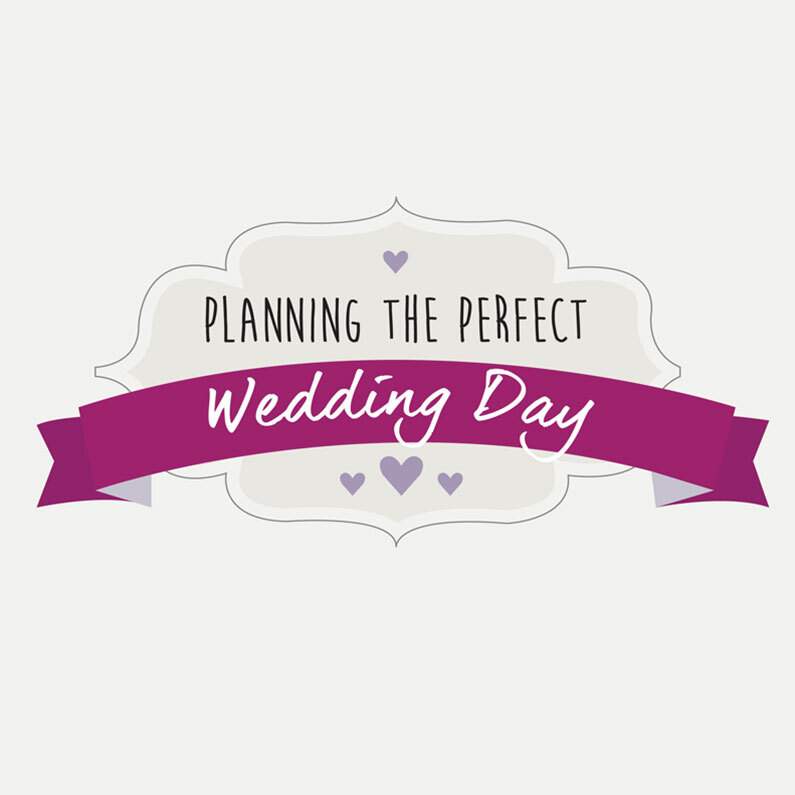 It’s all about planning, managing and explaining the Wedding Day Timeline. What makes a great wedding day timeline? Mainly, it’s planning. But who is going to put your plans into action? A great Master of Ceremonies, that understands what is important to you. They should always put you and your guests first. Someone you can trust with the running of your wedding timeline, who not only cares but has the knowledge and skills to make sure everything goes to plan, leaving you and your guests to enjoy the day. Flow – Everything that happens during the day should have a reason that makes sense to the guests and moves the event forward. Anticipation – This is created when your guests know what’s coming up, how it affects them and how much fun it’s going to be – they become engaged. They then become part of your day, without them it wouldn’t be as much fun. A New Years Eve 2016 wedding at Warbrook house. The Bride and Bridegroom, Sally and Matt, had invited a large number of children to their day. Prior to the couple’s Grand Entrance into the wedding breakfast, and unbeknown to them, I welcomed all of their guests to the wedding reception and arranged a “gauntlet” of the twenty plus children on either side of the doors, to cheer extra loudly as Sally and Matt entered the room. As the doors opened and I introduced the couple, they were greeted with loud cheers from all of their guests, but most importantly, all of the children, which also included their own. The pay off was not only massive smiles on both Sally and Matt’s faces but the guests also were truly part of a very special moment. 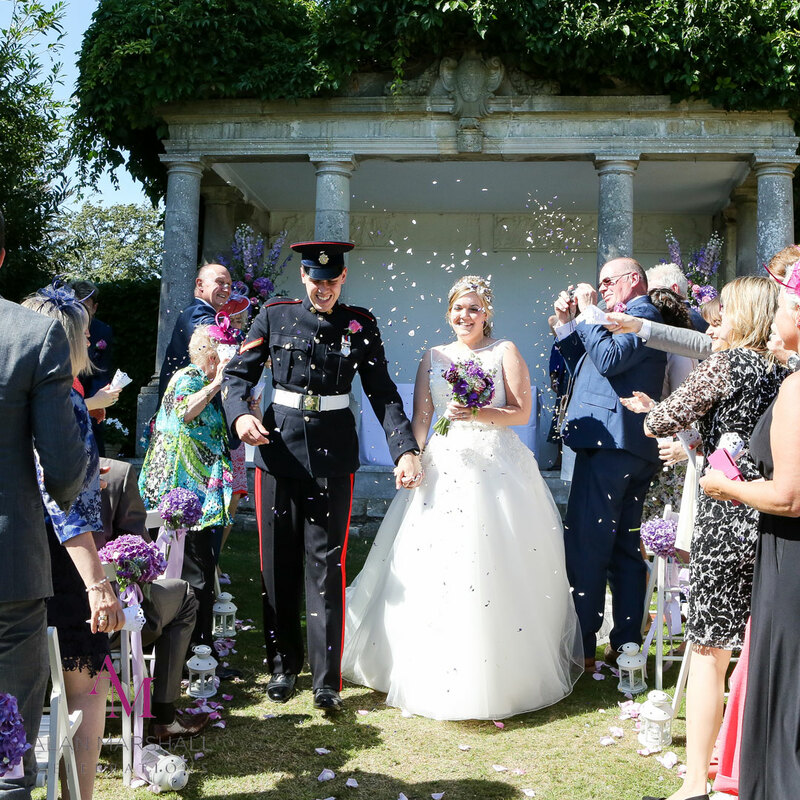 A wedding day timeline – challenges and tips to overcome those challenges. The first part of your wedding day timeline that you need to think about is the time pre-ceremony. As your wedding guests arrive, someone needs to take care of them, maybe showing them where to go, where the facilities are, or where to sit. Whilst all of this is going on you, the bride, probably won’t even have arrived yet. Your Fiancé will be meeting and greeting and at some point will have to go through a few things with the Registrar. Ushers are great and really come into their own during this period, but they too need guidance. Venue staff may, or may not, be up to the task. They also tend to be looking after things more on behalf of the venue rather than on your behalf. Also at this time, it’s nice to have some background music playing. This is your first chance to make the day uniquely yours. I’d recommend that music at this point is mainly the Bridegroom’s choice. The sort of music that relaxes him, puts him at ease. Not “banging tunes”, but something calming and welcoming. The most important part of the whole day – everything from this point on is a celebration of this moment. There is so much that can be done within the actual ceremony to really make it uniquely yours. After the wedding ceremony, your wedding day timeline moves on to the drinks reception. From talking to many couples, during the photographs and Drinks Reception, is where you start to lose the guests. Typically, after the photographs, you are whisked away for pictures of the two of you. The guests are left to their own devices, with no idea what is going to happen next or when. At past weddings we have produced, this is where my role is to circulate amongst the guests, ensuring they are being looked after and keeping them informed what is happening next and when. Another nice touch at this point is music, which could be a special playlist of background music specifically tailored for your guests. After the drinks reception comes the wedding breakfast (the meal) which can be preceded by a receiving line. This the traditional way for you to welcome and say thank you to all your guests for attending. But, like many parts of your day, this needs to be managed so that it doesn’t take up too much of your reception time. Once the guests are seated, its time to announce the Bride and Bridegroom into the room for their first meal as a married couple. This needs to be done with the correct level of emotion. A memorable wedding that involved expanded introductions for the entire bridal party was for Andy and Jenny. They wanted a fun way of letting all of their guests know a little more about the bridal party. We created a combination of fun bio’s and music drops as introductions, that had all the guests in fits of laughter and cheering as each member of the wedding party was introduced. During the wedding breakfast, there are even more opportunities to connect with the guests through fun interactive moments. These are designed to keep everyone engaged and having fun, building up the energy in the room prior to the toasts and speeches. Traditionally the speeches take place after the wedding breakfast. However, sometimes the speeches are given before the meal so that the speakers can relax and enjoy their food. If you are considering this option, don’t forget to let the catering team know before the day! If you have extra evening guests arriving then it’s always a nice touch for them to at least see the cake cutting. Traditionally, The Cake has been a very important symbol at Weddings. There are numerous traditions attached to it – the ingredients represent the joining together of the two families. In the past, the cake was a symbol of wealth and fertility. Cutting your Wedding Cake is the first domestic task you undertake together. The Bride’s hand rests on the Bridegroom’s hand as she directs his strength to make the cuts. It is considered good luck for everyone to eat at least a crumb of the cake to share the happy couples joy. We now move onto the evening section of your wedding day timeline and begin with your First Dance as man and wife can be anything you want… from a slow shuffle around the floor to something more elaborate, that could include your love story (yet another way to emotionally involve all of the guests at an evening reception). 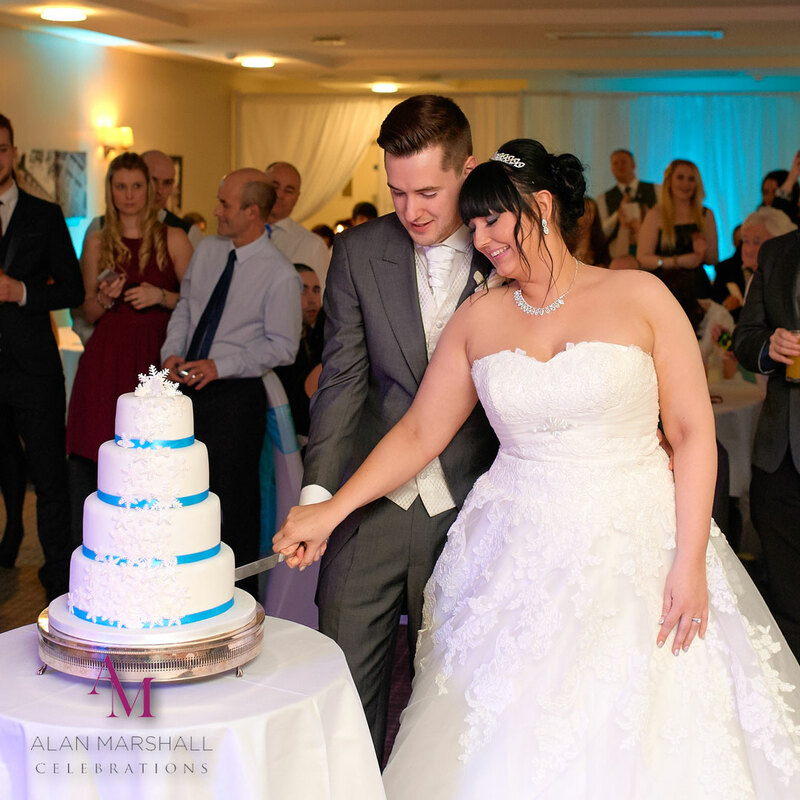 The Love Story is generally read just before the first dance and has frequently been one of the biggest highlights for our couples on their wedding day. Father and Daughter Dance – Very popular in some countries, and deservedly so. It is an opportunity for the Bride to dance with her father to show her love and appreciation for all he’s done. I have some great ways of making this even more special. 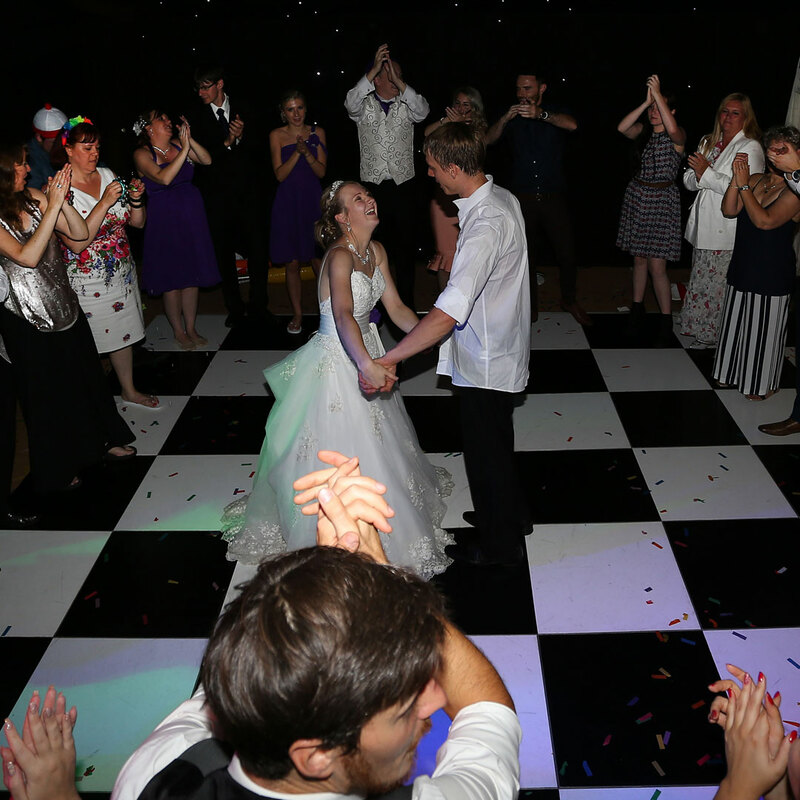 The Mother and Son Dance – Not quite as common as the Father and Daughter dance, though again a lovely way for the Bridegroom to pay tribute to his mum. So how would you like your party? 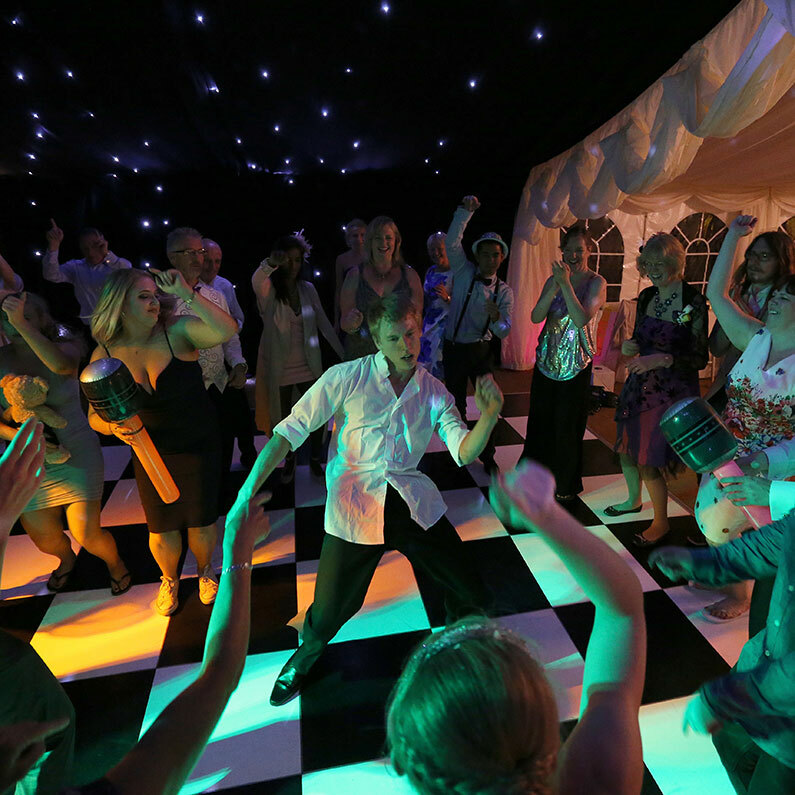 If you’d like a packed dance-floor, you need to plan to be on it, because your guests will take their lead from you. Make sure you brief your wedding party and all of your friends that you want to see them up and sharing your celebration, and they will. The pacing of the evening reception is key – If you take an average length of a party/ evening disco of four to five hours, the pacing is critical. Big stonkers when the dance floor goes wild, is more likely to be in the mid to later part of the evening. Otherwise, there is a risk that everyone will be worn out too early. Now, when I say big stonkers, I am not referring to any particular genre e.g. oldies early, then modern later, but the energy of the music and possibly the tempo. Everyone would like their guest to stay until the end, so pacing, allowing the music tempo to move around, is more likely to not wear everybody out. When I am programming an evening’s music, these are crucial considerations that I always take into account to guarantee a full dance floor. Party fun and games for a wedding need to be connected to the day. For example, the shoe game (Mr & Mrs game) is a way to connect the evening guests to both of you and create fun and energy during the evening. There are also the bouquet toss and possibly Garter removal (though we have a more modern fun twist on this). Lots of ways to engage your guests in fun beyond just dancing. If you want the end of the party to be as memorable as the first dance, then you’ll need a plan. My suggestion is that the stage needs to be set much the same way as the first dance. Typically this can be achieved in several ways. It could be another story, it could be three songs to set the mood or even all your guests, on the dance floor for “a circle of love” or a last hug for the Bride and Bridegroom. But, the most important thing is that there is an ending which is inclusive, meaning it involves both the Bride, Bridegroom and all of the guests. It is important that you consider everything that is going to happen on your wedding day, as this means that nothing will be left out of the planning stage. We provide detailed examples in your wedding planner booklet of a Wedding Timeline for you. You can take some time out to study it, and see just how much is involved, and how everything is going to fit together. Everything needs to be thought through in detail, from the moment that you wake up on the morning of your wedding, to when you leave your evening reception at night! That’s not to say it needs to be too regimented, but once you know what’s important to you, it’s a good start. If you would like to arrange an appointment to meet with me and start planning your wedding day timeline, then please don’t hesitate to get in touch.